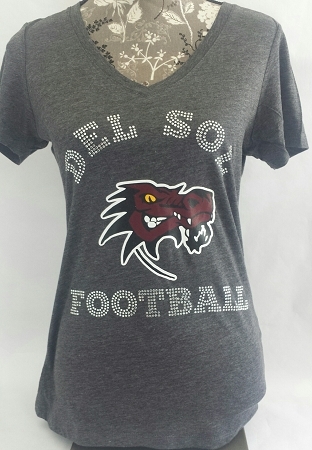 Show off in this custom Rhinestone/Vinyl Del Sol football tee. It will be sure to set you apart among the fans. A signature blended style from Next Level, this super-soft V-neck equals instant happiness.